Covering 30 acres, Caerphilly Castle is one of the greatest surviving castles in the medieval Western world. It was a highpoint in medieval defensive architecture with its massive gatehouses and water features. It was built by Earl Gilbert de Clare, at beginning of 1268 to frighten off Llewelyn, the last native Prince of Wales from fighting the Normans in the southern part of Wales. It was used as a model for Edward I's subsequent castles in North Wales. Llewelyn did actually manage to seize it briefly when it was half finished, but it was soon back in Norman hands. After Llewelyn's defeat and death, the Welsh threat substantially ended, and the castle became the administrative centre for de Clare's estates. Edward II spent time here. Caerphilly Castle became uncomfortable and unsuitable as a family residence and so began was abandoned and left to decay. Some stone was taken to build a nearby country house. Fortunately the Victorian Bute family rescued and restored the castle. 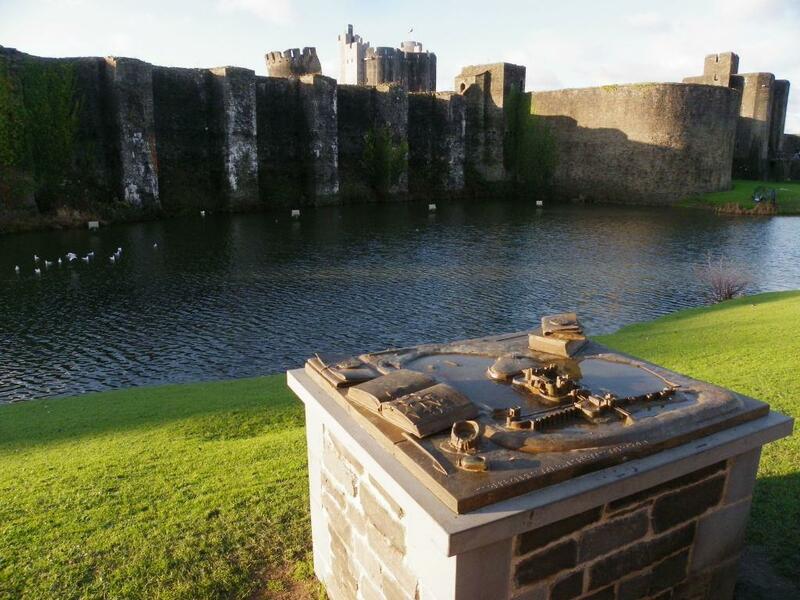 An informative Castles of Wales exhibition is located in one tower and working replicas of siege engines are within the grounds. There is also an Audio Visual tour available.